Bagabag is a second class municipality in the province of Nueva Vizcaya, Philippines. 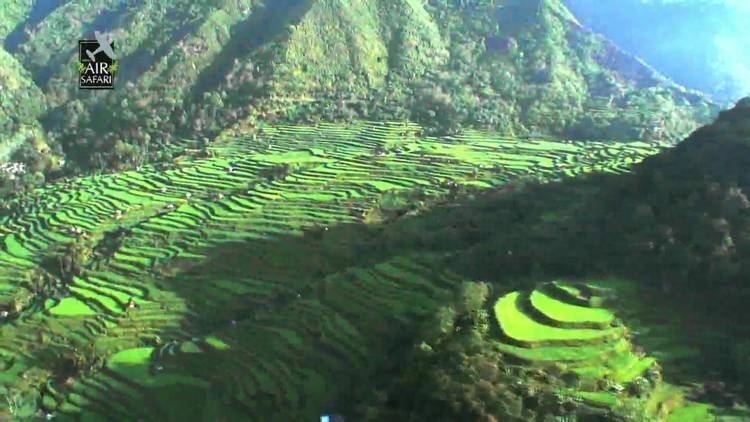 The town is famous for its buko pie (coconut pie) in the Cagayan Valley region and it is the gateway to the world-famous Banaue Rice Terraces. According to the 2015 Philippine Census, it has a population of 35,501. Bagabag is considered the pineapple region of Nueva Vizcaya. The main crops produced are rice, corn, coconut, mango, and pineapple. Bagabag has the largest tilapia farming in the region. Main resources include agriculture, livestock, and fruit-bearing trees plantation. Main industries include furniture, hollow block factory, tilapia farming, buko pie, pineapple vinegar, and meat processing. Located in the northern part of the town is Bagabag Airport, the only airport of Nueva Vizcaya, which serves the province and its surrounding area. Adjacent to the airport is the Summer Institutes of Linguistics (SIL) Bagabag. 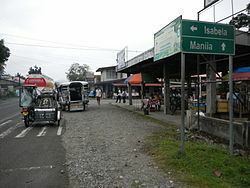 Bagabag is 19 kilometres (12 mi) north of its provincial capital, Bayombong, and 290 kilometres (180 mi) north of its country capital, Manila. It is located in the northeastern part of Nueva Vizcaya with a total land area of 260 square kilometers or 26,000 hectares. The Magat River, which runs parallel to the Pan-Philippine Highway (AH 26), is situated in the eastern part of the town proper. The town was formed on October 7, 1741 during the Spanish regime by a friar, Padre (Pe.) Antonio del Campo, at sitio "Nagcumventuan" a place now located between Pogonsino, Bagabag, Nueva Vizcaya and Bangar, Solano, Nueva Vizcaya. The present name of the sitio bears proof to the fact that the Spanish priest constructed a church in the original town site. Pe. Luis Sierra and Pe. Alejandro Vidal, who was the Vicar Provincial, were among the first priests to settle in 1743. They organized the town in 1754. Due to the continuous erosion and flood from the Magat River and its increasing population, Pe. 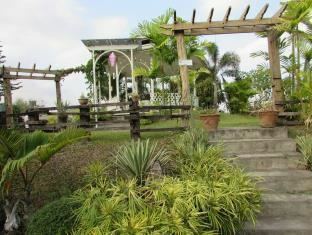 Vidal later transferred the town site to "Nassa" which is located between Barangays Lantap and Santa Lucia. The "Nassa" location was open and muddy throughout the year. Thus for the third time, Pe. Vidal transferred the town site to its present site where numerous buri palms were then growing. It was from this buri palm plant the name of Bagabag originated, the same being called by the natives as "bagbag". No account could be given on the exact date of the year, the present town of Bagabag was founded as the records were destroyed during World War II. The town celebrates its feast day every September 30 in honor of the town's patron, Saint Jerome. In 1945, the combined United States and the Philippine Commonwealth troops together with the town's guerrillas attacked the Japanese Imperial forces in the Battle of Bagabag during World War II. The natives of Bagabag are the Ga'dangs or Gaddangs whose ancestors originally came from the Cagayan and Isabela regions. The Gaddangs predominantly live in the town proper and they speak the Gaddang language. Many Ilocanos and Tagalogs have migrated and live in Bagabag. On January 11, 2008, the Cagayan Bureau of Fisheries and Aquatic Resources (BFAR) stated that tilapia fish production grew and Cagayan Valley is now the Philippines' tilapia capital. Production supply grew 37.25% since 2003, with 14,000 metric tons (MT) in 2007. The recent aquaculture congress found that the growth of tilapia production was due to government interventions: provision of fast-growing species, accreditation of private hatcheries to ensure supply of quality fingerlings, establishment of demonstration farms, providing free fingerlings to newly constructed fishponds, and the dissemination of tilapia to Nueva Vizcaya (in Diadi town). Former cycling champion Lupo Alava is a multi-awarded tilapia raiser in Bagabag. Chairman Thompson Lantion of the Land Transportation Franchising and Regulatory Board, a retired two-star police general, has fishponds in La Torre, Bayombong. Also, Nueva Vizcaya Gov. Luisa Lloren Cuaresma also entered into similar aquaculture endeavors in addition to tilapia production. 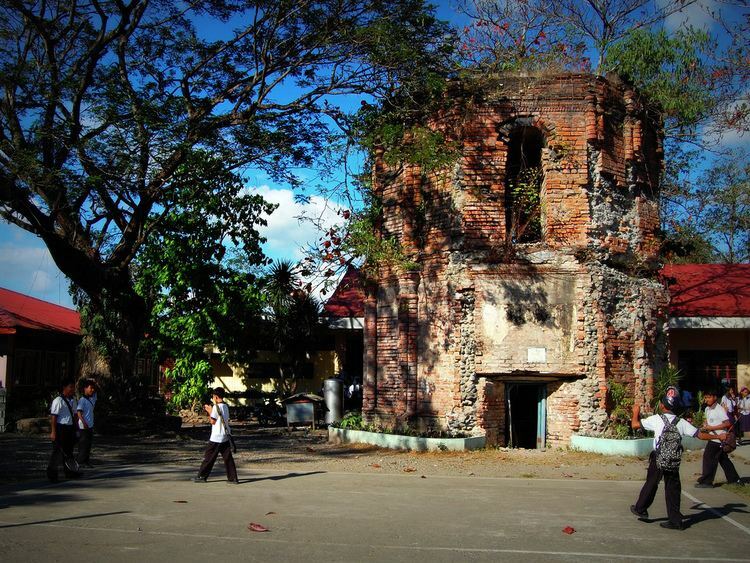 Bagabag is governed by a mayor, a vice mayor and eight-member municipal councilors. They are elected for a three-year term. 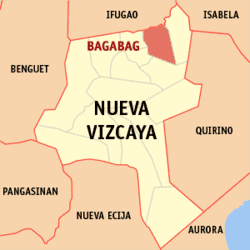 Bagabag is politically subdivided into 17 barangays. Lupo Alava - athlete, cyclist winner of 1980 Marlboro Tour of Luzon's Rookie of the Year. Leonardo A. Gonzales, Ph.D. - scholar and scientist, authored books on rice and corn policy including technical articles on agricultural policy, agribusiness, and agribiotechnology. Carlo Guieb - athlete, cyclist winner of 1993-1994 Marlboro Tour of Luzon. Gualberto B. Lumauig - politician, former governor and congressman of Ifugao, Philippine ambassador to Taiwan. Romulo B. Lumauig - lawyer and politician, former congressman of Ifugao, trade deputy minister under President Ferdinand Marcos.